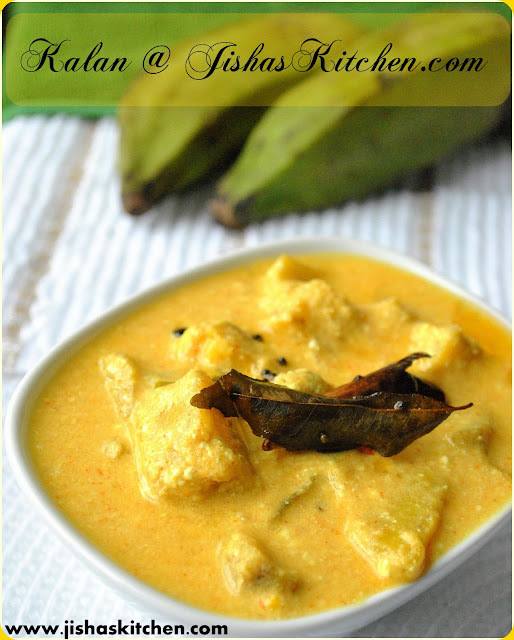 I am sharing the recipe of Kalan ( Plantains in buttermilk and coconut pulp ), which is a popular curry of Kerala. 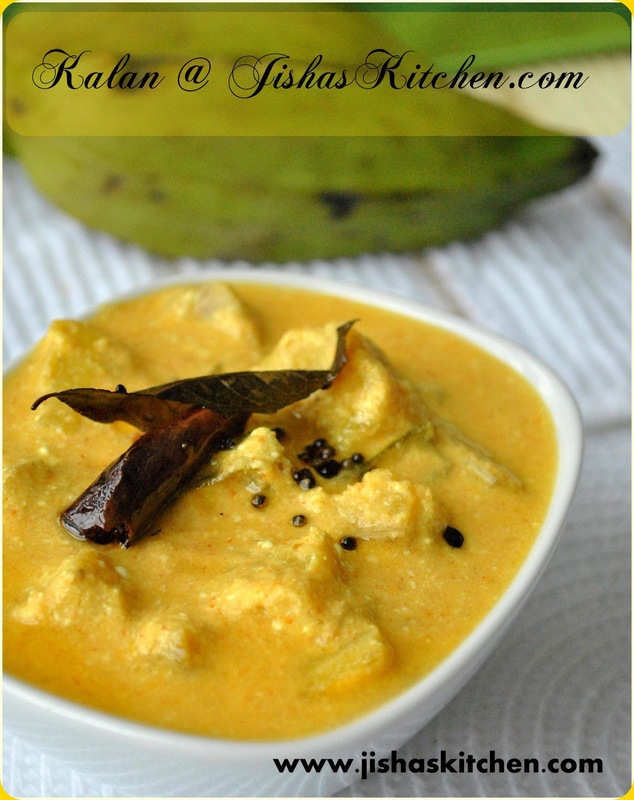 Kalan is one of the main dish of an Onam Sadya/Feast. First wash the plantains and peel the skin off using a peeler. Then cut into medium sized square pieces. Then cook the plantains by adding 1 cup of water, green chillies, chilly powder, turmeric powder and little salt in a medium flame for about 15-20 minutes. Meanwhile grind grated coconut and cumin seeds to a fine paste by adding 3-4 tbsp of water. Then add this ground coconut mixture to the cooked plantains and allow it to boil for another 5 minutes. Then lower the flame and add beaten curd / yogurt along with enough salt. And remove from the flame after 2 minutes. Heat oil in an another pan and add mustard seeds. 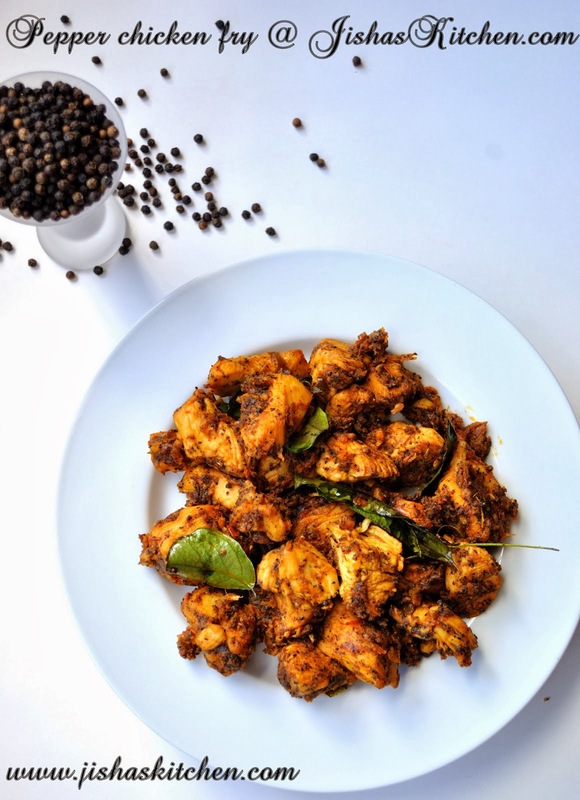 When it crackles, add dry red chillies, fenugreek seeds and curry leaves and fry for less than a minute and then pour this to the Kalan. thats a beautiful dish...the flavors of coconut with yogurt is very good!.. 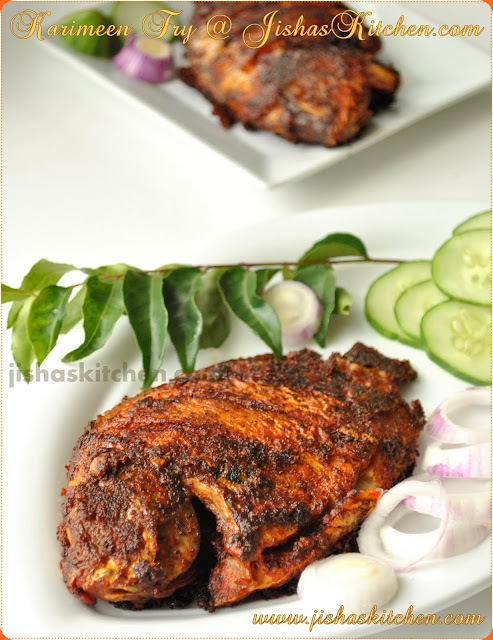 Alwayz look fwd to ur traditional kerala recipes...;) This loks yumm...too!! Ente fav fav, nalla pictures too jisha..